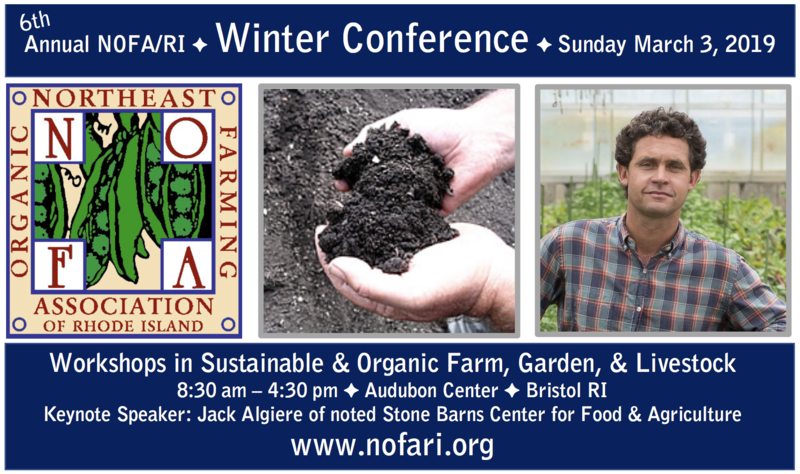 The Northeast Organic Farming Association of RI (NOFA/RI) Winter Conference is our largest educational and fundraising event of the year. Sunday, March 3, 2019, is our 6th annual conference with a full day of workshops with nationally recognized speakers in organic and sustainable agriculture as well as influential speakers from across Rhode Island and New England, networking sessions, our annual meeting, and a delicious potluck meal. This year’s Winter Conference had something for everyone, be they a gardener, farmer or fan of organic foods.